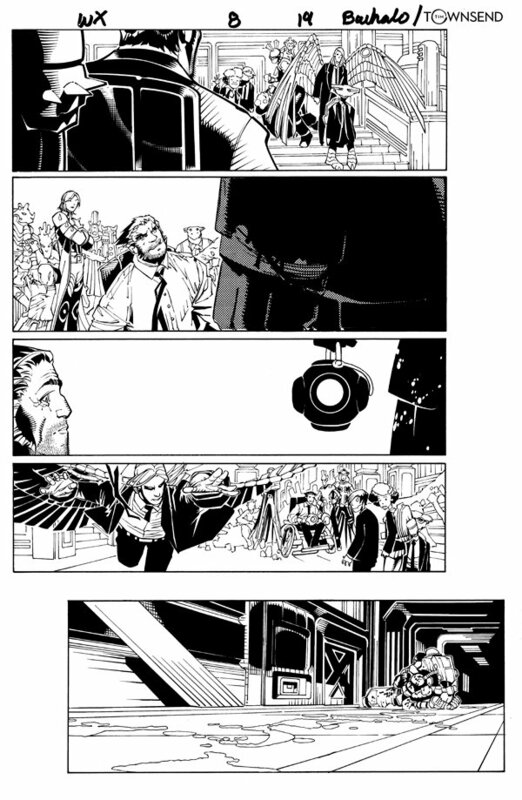 Check out this very nice Wolverine & the X-Men page, which was penciled by the great Chris Bachalo, and inked by the great Tim Townsend, from the story titled: "A Little Impossible!" This nice page features Wolverine, Archangel, Kid Omega, and Xavier Students. Nice page!